Mother Goose on the Loose visits participating child-care facilities once a month for a year. Contact Dora Garraton to learn more about how to schedule Mother Goose on the Loose at your day care, preschool, or at any other opportunity for helping children ages 0-3 learn! When: Saturday, May 04, 2019 10:00 AMEnds on: Saturday, May 04, 2019 10:30 AMWhere: Vigo County Public Library- Main Library at Youth Services Program RoomJoin Mother Goose for an interactive storytime with books, songs, rhymes and musical instruments. You and your child will play together and develop early literacy skills. When: Tuesday, May 28, 2019 11:00 AMEnds on: Tuesday, May 28, 2019 11:30 AMWhere: West Branch at West Branch Meeting Room BJoin Mother Goose for an interactive storytime with books, songs, rhymes and musical instruments. You and your child will play together and develop early literacy skills. When: Saturday, June 01, 2019 10:00 AMEnds on: Saturday, June 01, 2019 10:30 AMWhere: Vigo County Public Library- Main Library at Youth Services Program RoomJoin Mother Goose for an interactive storytime with books, songs, rhymes and musical instruments. You and your child will play together and develop early literacy skills. When: Tuesday, June 25, 2019 11:00 AMEnds on: Tuesday, June 25, 2019 11:30 AMWhere: West Branch at West Branch Meeting Room BJoin Mother Goose for an interactive storytime with books, songs, rhymes and musical instruments. You and your child will play together and develop early literacy skills. When: Saturday, July 06, 2019 10:00 AMEnds on: Saturday, July 06, 2019 10:30 AMWhere: Vigo County Public Library- Main Library at Youth Services Program RoomJoin Mother Goose for an interactive storytime with books, songs, rhymes and musical instruments. You and your child will play together and develop early literacy skills. Mother Goose on the Loose is an award-winning early literacy and school readiness program for children from birth to age six in Vigo County. Funding for Mother Goose on the Loose is provided by the Vigo County Public Library and United Way’s Success By 6. Mother Goose on the Loose visits participating child-care facilities once a month for a year. 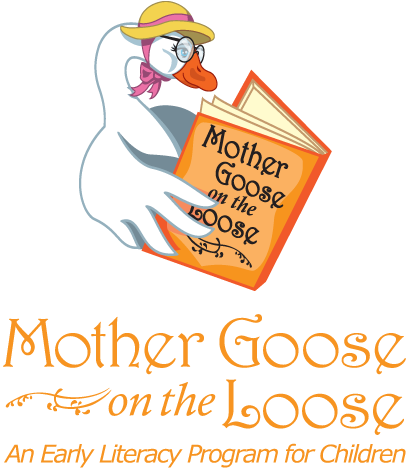 Contact Ms. Alicia or Mrs. Clark to learn more about how to schedule Mother Goose on the Loose at your day care, preschool, or at any other opportunity for helping children ages 0-3 learn!